Is Elon Musk’s High Speed Underground Tram In Chicago Moving Forward? Last year, outgoing Chicago Mayor Rahm Emanuel held a press conference with transportation and tech entrepreneur, Elon Musk, regarding a high speed, underground tram system that would cart passengers out to O’Hare airport. The tram was touted to take about twelve (12) minutes and would cost approximately $25 for a one way trip. It was stated that Musk’s boring technology would dig the necessary pathway in between the downtown loop and the airport. The goal of this new transportation system was to help ease the gridlock on I-90/94 and free up space on the always packed Chicago blue line. Also, it would provide an opportunity for commuters to avoid the often hour long automobile commute or forty-five (45) minute train ride. Even more enticing was that Musk told the press that his boring company would be shelling out the 1 billion dollars in necessary construction costs. A lot has changed in Chicago since September 2018. Rahm Emanuel decided not to run for a third term as mayor and there is now a runoff election for his spot set for April between Lori Lightfoot and Toni Preckwinkle. News outlets have reported within the past month that neither mayoral candidate are very excited about this project. Lightfoot doesn’t include the Musk tunnel in her transportation plan, and Preckwinkle said at a candidate’s forum that the tunnel was “definitely something I would put on pause.” Both have cited the need to expand and improve the CTA red line and Metra train systems on the south side. This was and is an incredibly innovative idea. Obviously we don’t know all the details of financing, but if Musk and his company are paying for the entire construction, and the city splits a portion of the revenue, I do not see how the city does not move forward with this project. The added benefit of freeing up traffic above ground and the job creation seems to make this a no-brainer for the incoming mayor. This is assuming the technology would actually work in Chicago and the city and county are not putting up any of the money. If so, I would like to the see the incoming mayor reconsider their position(s) on this matter. If you or a loved one has been seriously injured in a Chicago car crash or Chicago truck accident, please call Chicago personal injury attorney, Aaron J. Bryant for a free legal consultation at 312-614-1076.
of the year for both automobile and foot traffic . This year includes the downtown parade and dying of the Chicago River on Saturday, along with the south side parade on Sunday. On top of all this the Big 10 basketball tournament is taking place all weekend at the United Center. Based on all the extra traffic, and most likely copious alcohol consumption, Chicago Police are taking extra precautions. Patch.com reported this week that the Chicago Police Department’s 6th District (Gresham) will be adding DUI saturation patrols. Police officers will monitoring traffic for signs of impaired driving, speeding and safety-belt violations. The Breath Alcohol Testing (BAT) Mobile Unit is also expected to be to deployed. BAT allows officers to expedite the process of charging a person with driving under the influence before driving them to the nearest lockup. The BAT mobile also allows for I-bonds to be issued at the site of the DUI saturation patrol. If you are heading downtown or to the south side, remember that there are multiple options for public transportation, along with cabs and ride shares. There is no reason to get behind the wheel if you are drinking. Even if you don’t plan on drinking, there is no reason to drive through the middle of all the expected congestion. If you or a loved one have been seriously injured in a Chicago car crash or Chicago truck accident, then call Chicago personal injury lawyer, Aaron J. Bryant, for a free legal consultation at 312-614-1076. Establishing clear mobility goals and effective governance that serve as a framework for planning for, evaluating and managing current and future mobility options and identifying the appropriate City leadership to ensure future decisions align with such goals. Proposing changes to technology, policy, and public way use management to support the City’s mobility goals, including regulatory incentives, transit improvements, curbside use policies and data-sharing requirements/infrastructure. Reviewing the areas of autonomous, connected and electric vehicles; enhancing CTA and other City transportation assets; promoting low and no carbon mobility choices; and finding sufficient and sustainable funding sources. Secretary LaHood’s task force has recommended that the city hire a “mobility chief,” who would oversee all aspects of improving transportation and how to pay for it. I think this makes sense as the type of overhauls this task force is recommending would need some sort of CEO type to oversee the implementation of these new infrastructures and programs. I am all for improving the city’s transportation infrastructure. This includes reducing traffic, reducing the carbon imprint, reducing costs etc.. But to be honest, this entire task force seems to be more of a question mark than answer. The media reports state that the task force’s report recommend “50 specific actions, policy changes or studies.” I have not seen a press release showing us what these “specific actions” include. There have merely been snippets, such as hiring mobility chief, adding toll roads and possibly a gas tax and new mobility services and technology, with “smart lanes” dedicated to bicycles, van pools and other shared rides. This is all great, but there has been no explanation on how to achieve these “50 specific” actions. I will be anxiously awaiting more information from the mayor’s office on how to achieve these goals, and whether the new mayor (Lightfood or Preckwinkle) will carry the torch and follow through on what the task force has recommended. 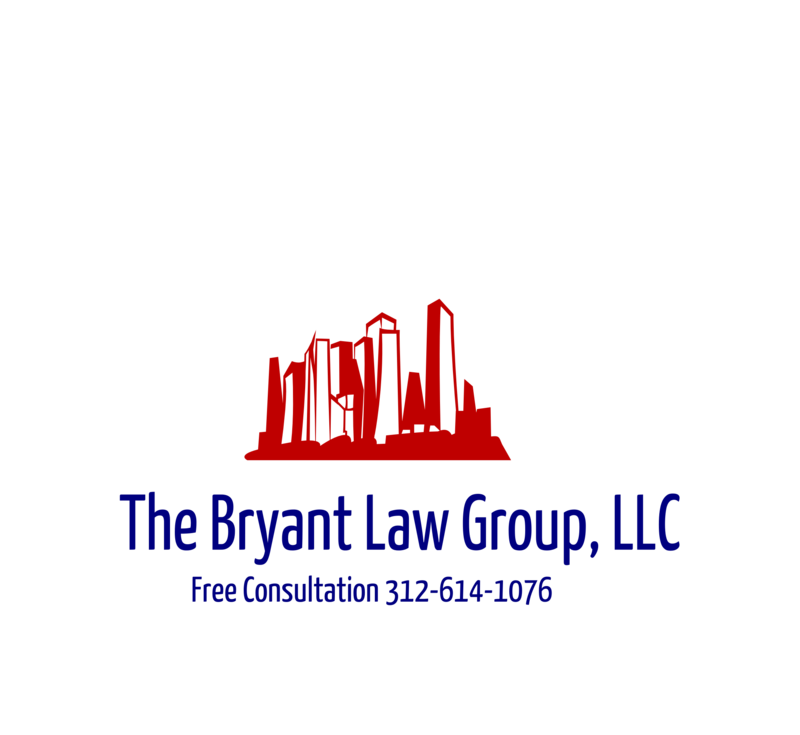 If you or a loved one has been seriously injured in a Chicago car accident or Chicago truck accident, then call Chicago personal injury lawyer, Aaron J. Bryant, for a free legal consultation at 312-614-1076. INRIX, a global transportation analytics company released a new study this week regarding traffic congestion in the U.S. and globally. The study revealed, to no ones surprise, that Chicago ranked as the 3rd most congested city in the U.S. The study stated that Chicago drivers wasted 138 hours sitting in traffic last year, and the traffic back-ups cost $1,920 per driver in 2018. One reason experts have noted for the surge in traffic congestion in Chicago is due to the robust downtown economy. Several companies have opened new offices downtown and in the West Loop, including McDonalds and Google. The thing that puzzles me about this ranking and about the traffic in general in Chicago is that there are so many alternate options for a work commute. Chicago has some of the most efficient train and bus lines with the CTA, and the number of bicycle commuters continues to grow, especially the number of dedicated bike lanes throughout the city. Also, Metra provides train rides for tens of thousands of commuters into the city every day. One factor that I didn’t see mentioned in any of the articles written about this study is the amount of road construction that has been going on. I-290 has been under construction the last several years. Hopefully when that is completed, it will free up a lot of the congestion from all directions coming into downtown. The Chicago Tribune reported this week that the company Car2Go is looking to operate in Chicago. The city council will vote this week as to whether they can operate here in Chicago. Car2Go, a car share company, allows members to pick up a car parked somewhere within a designated zone, use it for anything, and then park it somewhere else in the zone. The company is looking to operate, for now, on the North side, the loop and near South side. Certain areas of Lincoln Park and Lakeview are not included in the zone at this point. Car2Go is different from other car share companies like Zipcar because they do not require you to return the car to the exact same spot it was picked up from. Based on this model, it looks like Car2Go allows more flexibility than other car share companies as it allows you to basically take one way trips. For example, if you want to go out for the night in a certain neighborhood, and are not sure how long you will be gone, you can park the car in your destination area and not have to worry about taking it home at the end of the night where you started. It appears to be a micro version of Zipcar. It will be interesting to see whether Zipcar adapts and provides more flexibility for their drivers and their ability to drop vehicles off at different locations. Car2Go is currently operating in eleven (11) U.S. cities along with cities throughout Europe and China. Like Zipcar, Car2Go pays for insurance, gas and parking, while consumers pay for the time the car is used. Costs vary depending on the type of vehicle and the city — for a two-seater blue-and-white Smart Car, consumers typically pay about 41 cents a minute, $15 per hour and $60 per day. There has been some opposition to this new ordinance, including from Ald. Michelle Smith, 43rd Ward, who represents Lincoln Park and opposes the ordinance, questioned whether the company will be paying the city enough for its privileges. (Under the ordinance, Car2Go will pay a $75 per vehicle fee for parking in areas controlled by residential permits, as well as property lease and rental car taxes). The question that has to be asked is whether a company like Car2Go actually reduces the number of cars on the streets where they operate. A study cited in the Tribune article stated that found that between 2 percent to 5 percent of Car2Go users sold a vehicle because of Car2Go, while another 7 percent to 10 percent held off on buying a car and that a Car2Go vehicle removes 7 to 11 vehicles from the road, and reduced total miles driven and emissions. We won’t immediately know the effect this company will have on Chicago. First, the city ordinance will need to pass and then it will take at least a year to study how often the vehicles are being used and whether we see less vehicles on the road. Call me dubious, but I just don’t anticipate a huge decrease in traffic in such densely populated areas. People will still need to move around the city, whether it’s through a car share company, their own vehicle or from an Uber or Cab. If you or someone you love has been seriously injured in a Chicago traffic accident or Chicago pedestrian accident, then call Chicago personal injury lawyer, Aaron J. Bryant, for a free legal consultation at 312-614-1076. The Chicago Tribune reported recently that the city of Chicago unveiled another new curb protected bicycle lanes. The lanes have a raised concrete median that protects bicyclists from motorists in the adjacent lane. The newest bike lane was constructed at 31st Street from LaSalle to Michigan Avenue. Previous curb protected bike lanes were installed last May on Sacramento Drive in Douglas Park, followed by one in November on Clybourn Avenue in Old Town There are plans in the works another similar lane in the downtown loop on Randolph from Michigan Avenue heading to Clinton Street in the West Loop. “Curb-protected bike lanes provide better separation between people riding their bikes and people driving, provide better guidance for motorists as to where to park and or drive, prevent illegal parking in or near bike lanes, and are more aesthetically pleasing,” said Mike Claffey, spokesman for the Chicago Department of Transportation. Chicago’s Mayor and the City Council catch a lot of flak for their handling of different issues like traffic cameras and the ride-sharing companies like Uber. Regardless, I have to take my hat off to city officials for following through on their promise to make Chicago a world class bicycling city and to improve safety. These curb protected bicycle lanes are another step in that direction. Especially with amount of traffic congestion we see. It can obviously be dangerous at time for bicyclists to struggle for room on the roads. These curb protected lanes make life safer for everyone on the road. If you or someone you love has been seriously been injured in a Chicago bicycle accident or Chicago traffic accident, then call Chicago personal injury lawyer, Aaron J. Bryant, for a free legal consultation. I’ve written about traffic congestion in Chicago in the past and our city is perennially in the top 10 of most congested U.S. cities. This year’s ranking is no different as analytic company INRIX ranked Chicago the eighth most congested U.S. city. The study states that Chicago commuters waste about 60 hours a year sitting in traffic. On the bright side, Chicago has been ranked as high as third in recent years, so this is somewhat of an improvement. Los Angeles was ranked first in the U.S. and London was ranked at the top worldwide. I mentioned a few weeks ago about increased traffic fatalities (specifically pedestrian) in 2015. Experts concluded that one of the causes could be attributed in the improved economy and lower gas prices. There are more people on the road driving to more jobs, which leads to more auto accidents. It is kind of a catch 22 for Chicagoans. We want a booming economy with low unemployment, but as a result we face more traffic congestion and potentially more traffic accidents and traffic fatalities. As I have said many times before, with this much traffic on the road, put your phones down and focus on what is in front of you while driving. If you or someone you love has been injured in a Chicago car crash or Chicago truck accident, then call Chicago personal injury lawyer, Aaron J. Bryant, for a free legal consultation at 312-614-1076. Various news outlets, including the Chicago Tribune, reported this week that pedestrian deaths from motor vehicles were up in 2015. There were 2,368 pedestrians killed in the first six months of 2015, compared to 2,232 during the same period in 2014 — a 6 percent increase. Researchers arrived at a 10 percent increase for the entire year by factoring in that fatalities for the first half of the year are typically underreported, and that for at least the last five years an average of 25 percent more pedestrian deaths were recorded in the second half of the year, which includes warmer summer months.Total traffic deaths, which had been trending downward for the past decade, were also up an estimated 8 percent last year. But pedestrian fatalities have been rising since 2005, and now account for 15 percent of total traffic deaths. What is the cause of this recent uptick in traffic fatalities? According to the Governor’s Highway Safety Association, the proliferation of cell phone use by drivers has caused people to be more distracted. Also, the improved economy reveals that more drivers are on the road than in recent years. I unfortunately do not have numbers for Illinois or Chicago, but I would imagine they follow the national trend. This is a disturbing trend especially since Mayor Rahm Emanuel has focused on improving safety for pedestrians and drivers with red light and speeder cameras. As I stated yesterday in my blog and several times before, these cameras do not show a net safety improvement, and in my opinion, these programs should end. Regardless, the city and state will have to take a long look at improving safety for pedestrians. One way, which I have mentioned before, is to increase the penalty for cell phone use while driving. Especially if someone is injured in a car accident while someone is using their phone. If you or someone you love has been injured in a Chicago car accident or Chicago truck accident, then call Chicago personal injury lawyer, Aaron J. Bryant, for a free legal consultation at 312-614-1076. Fleet Feet, a popular Chicago store for runners to find shoes and other athletic gear, ran a fantastic poll regarding the most dangerous intersections in the city for runners. You can see the complete list by clicking here. I’m familiar with most of these intersections and have jogged and/or walked through some of them dozens, if not, hundreds of times, and yes they can be dangerous. I believe the LaSalle/Clark Intersection is dangerous for multiple reasons. For one, when heading south on Clark, the far right lane veers off onto LaSalle. For walkers and joggers, there is supposed the be a pedestrian walkway that allows you to cross the street and stay on Clark rather than veer right onto LaSalle. I can’t tell you how many times I’ve seen vehicles not pay attention and almost hit a pedestrian. The problem is that the white lines outlining the walkway have completely faded. I believe the city needs to re-paint and make more visible for everyone. If you are a jogger or enjoy walking, make sure you always keep an eye out for your surroundings, especially if you frequent any of the above intersections. It would be nice if the city would look at each of these intersections and consider better cross-walk precautions such as pedestrian stop signs. I am hoping the Fleet Feet forwarded their results to the cities’ department of transportation. If you or someone you love has been injured in a Chicago pedestrian accident or Chicago bicycle accident, then call Chicago personal injury lawyer, Aaron J. Bryant, for a free legal consultation at 312-614-1076. I have written multiple posts regarding Chicago’s much maligned red light and speeder cameras over the last several years. The issues have concerned the actual validity (do they make our streets safer?) to the overt corruption that took place. The piper is now asking to be paid for the corruption as former Chicago Department of Transportation Office, John Bills, was found guilty in federal court on all 20 counts of public corruption, including bribery and mail fraud. Bill was convicted for accepting cash, luxury hotel accommodations, trips and sporting event tickets from Red Flex, the original company the city hired to handle their red light cameras. Prosecutors estimate Bills received up to $2 million in cash and other perks. Bills awaits sentencing on May 5. To me this is all kind of a joke, including the cameras them selves. Studies have shown, including one performed by Texas A&M University, that Chicago’s red light cameras provide no net safety benefit for drivers and pedestrians. Yes, t-bone accidents have decreased slightly but rear-accidents have actually increased. The only possible benefit to the city (if you believe the studies) is that it is a cash grab. At the same time the cameras’ purpose are being questioned, all of the above corruption comes to light. Red Flex buys their way into city hall, while city official fatten their pockets. How can we possibly take this program seriously. They do not make our intersections safer and the whole history behind the program is corrupt. It is time to remove red light and speeder cameras from Chicago’s intersections. If you or someone you love has been injured in a Chicago car crash or Chicago truck accident, then call Chicago personal injury lawyer, Aaron Bryant, for a free legal consultation at 312-614-1076.